Fill out the survey form telling Ms. Elias how your experience was with your #DeviceFreeDinner. Click here for survey. 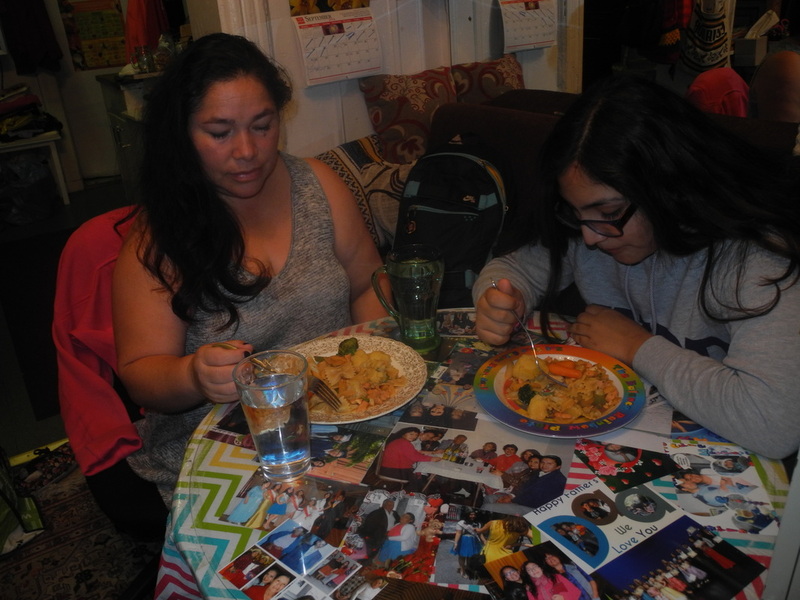 You can also send a picture of you and your family enjoying #DeviceFreeDinner to Jelias@mail.wagner167.org. Upon completion of a successful #DeviceFreeDinner you will receive three Gold Cards for participating in this challenge! Thank you for participating in this challenge. Yesterday I did the no technology at the dinner table challenge. It was very peaceful and relaxing and we talked to one another. Gabriella - Class 611. 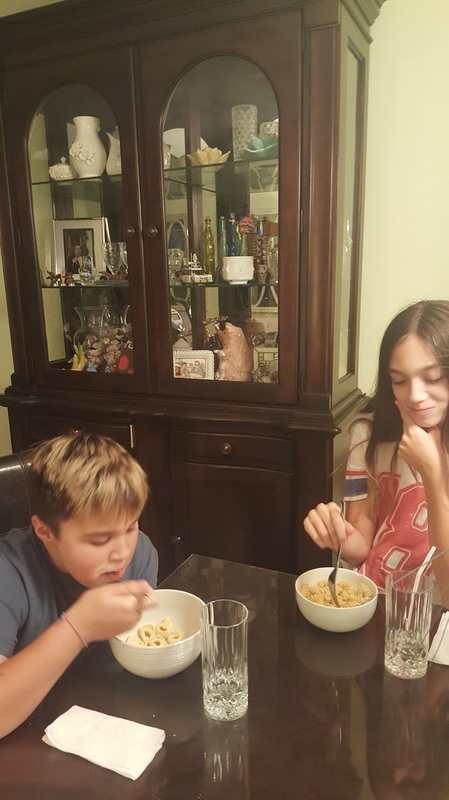 "Today at dinner, my family and I ate a peaceful meal where we talked to each other while no one was using their electronic(s), (except my little brother, because it was the only way to shut him up). Anyways, we talked about how our day went along and what did we learn. Then my sister started talking about how people are sometimes using each other to get what they want. I started explaining parts of it to mom, because she didn’t really understand part of what sister was talking about. Then my little brother started talking about Mickey Mouse and how blue mickeys are better then red, even though there is no difference. I continued eating and caring less about my little brother’s childish/ annoying behaviors. I then enjoyed my food which was rice, vegetable, meat, and shrimps, then I drank some milk and excused myself from the table so I could go and watch the television. After I left, I heard my mom and sister talking about going to Best Buys tomorrow, so they can buy chargers, headphones/earbuds, batteries and some other junk that they need. I went downstairs turned on the television and began to watch the movie “Turbo” , which is about a racing snail who is awesome." "My Device Free night was great. My family usually don't use our devices during dinner, but once in a while one us might get a message and stop eating to reply. This dinner was different. My family and I talked a lot more than usual. we talked about my classes and how my brother was doing inn school. We might continue to do this, I don't know! However, it was definitely more fun than most dinners when its mostly dead quiet." "The device free dinner went well, we had a nice time together as a family"
"I never have a dinner with devices at the table and not just because it's a rule I'm also just not a fan of it." My experience was awesome because I'm very used to eating without any electronics. Every day I eat without any electronics because my parents say that its a bad habit. "It's going awesome everyone is having a blast we were really engaged into our conversation. With the device free dinner its better since before me and my two little sisters we would watch TV, my dad would read an article and my mom would be on the phone. So since we are doing this everyone is talking together. As a Family." 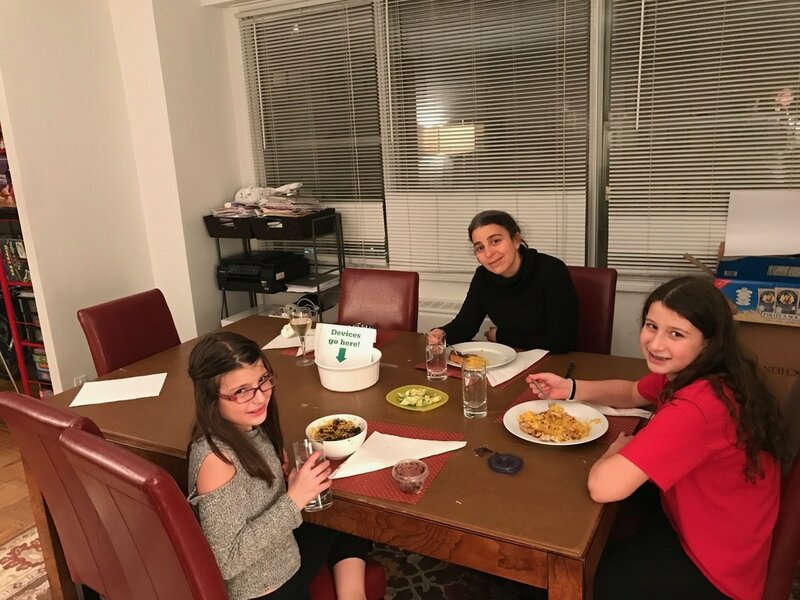 "In our apartment, we eat a device-free dinner every night, and think it's great that you are encouraging others to do the same." 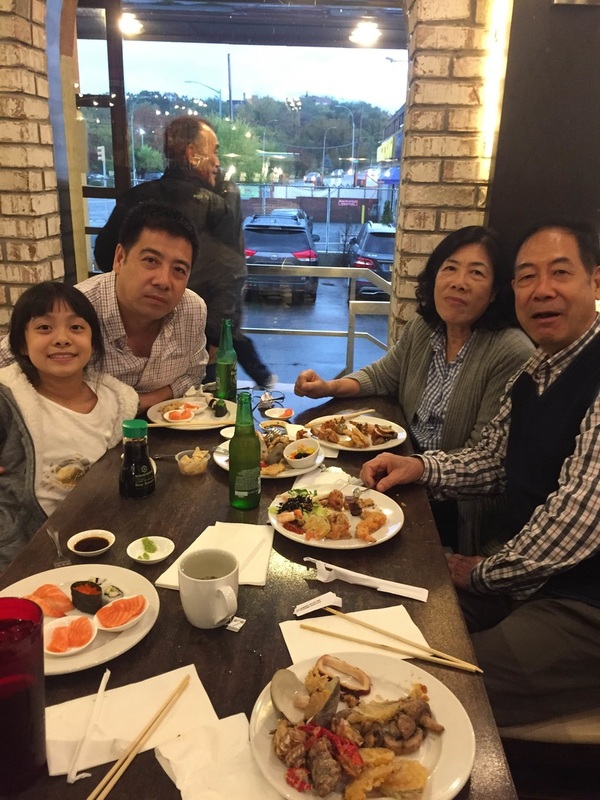 ​"Was really good to participate in #DeviceFreeDinner challenge with my family, because we got a very good conversation about how was our day ;I felt better to stay together with them." definitely do it again. It was kinda hard because I had the urge to use my phone but I got through it and I don't regret a single thing"
"Though it was a struggle to put down our much attended to devices, once we got a grasp of this device free dinner, we were able to have solid interaction with one another and solid conversation. 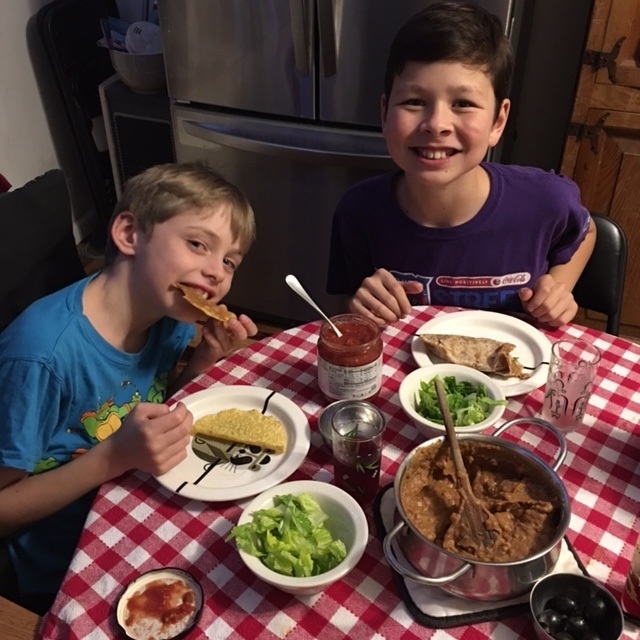 Thank you for introducing this challenge to us and we look forward to many more device free dinners!" "We had a device free dinner it was amazing. We discussed what we did that day and in fact we are now doing it at least twice a week." “I actually have device free dinner every day so it wasn't that challenging. 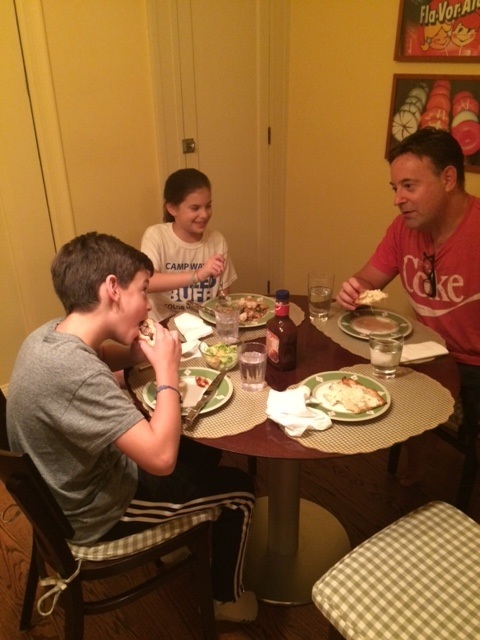 The #DeviceFreeDinner was really easy since my family does it everyday. 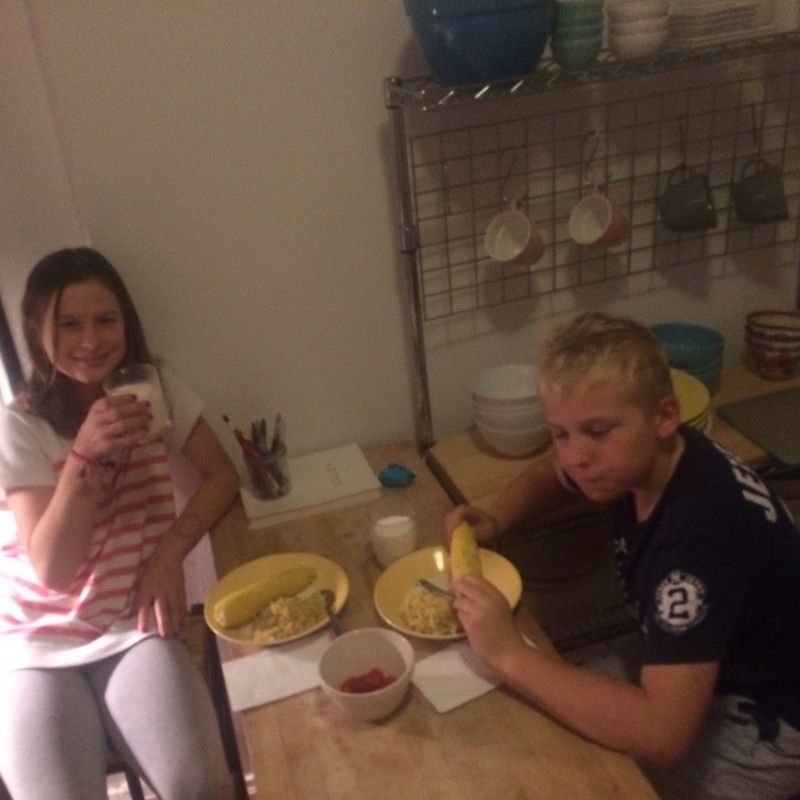 "We have completed the Device Free Dinner challenge and it was great! We first told each other about our days and then told jokes for the remainder of dinner. Thank you for the challenge! We all enjoyed it very much. We're a family of 4, Lee and Tara (parents) and Rocco and KJ (brothers/sons). The boys had a lot of fun coming up with jokes and Lee and I enjoyed watching us all together at the table. I'd say doing this challenge made eating dinner more relaxing and more present to be together." "I had a dinner with my family on Saturday using no electronics. it was definitely fun. we had a steak that my mom made for us. my little brother talks about superhero’s for a little while and i talked about sports.we all had a great time together during that time. i don’t have a picture but it was a lot of fun! "My device free dinner went great! We talked about when we were going to Disney World again, how school was going and just other things. After one device free dinner, we face timed my cousin, Kenzie, who is in college. We told her everything that happened, and figured out that she was going to see us next week! Another day, we ate a delicious dinner while we talked about our halloween costumes. Then we talked about what other vacations we were going to go on. It was great. Overall, we figured out how nice it was to talk to our family while eating instead of on our electronics. I'm proud of my family and myself for accomplishing the challenge!" My family always has device-free dinners and we have a wonderful time as always. We talk about how school has been and many other topics, including fun stories from my dad. 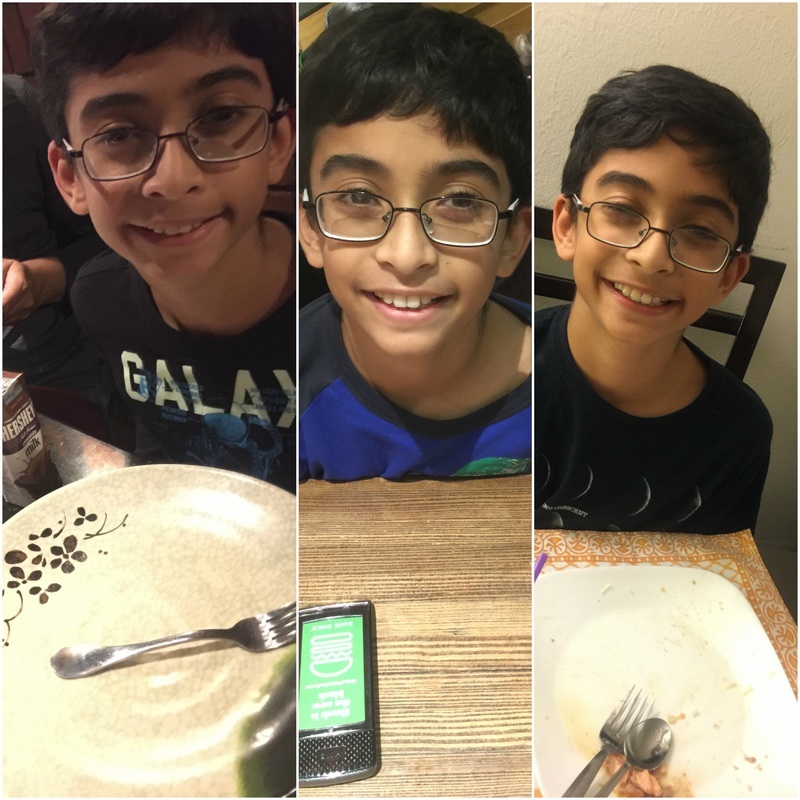 Me and my family tried out the #devicefreedinner and it was great. We were able to have a successful dinner without a boss or a friend calling. We will continue this challenge for the whole week and if we complete the challenge we will go bowling. "Last night I had a device free diner. Me and my family got to sit down and eat altogether and we got to talk about the debate. It's so much fun to be with you r family then on your phone." "I had a device free dinner with my family. We talked about the baseball exhibit I went to. We also talked about how the baseball exhibit was part of an auction and we talked about auctions. We also talked about how my dad's friend is bidding on a couple of the items we saw. The auction house is called Christie's New York and is in Rockefeller Center." "Me and my parents spent a whole week with no electronics during dinner. It was really fun and a very healthy experience, we definitely want to continue this fun practice." "It was awesome even though I do this all the time, we got into our conversation and enjoyed socializing with other people who is always there for us and it is always helpful to ask questions when you have trouble or maybe wondering about something. Even though I do this,its makes me feel relaxed and wanting to enjoy things with my family . 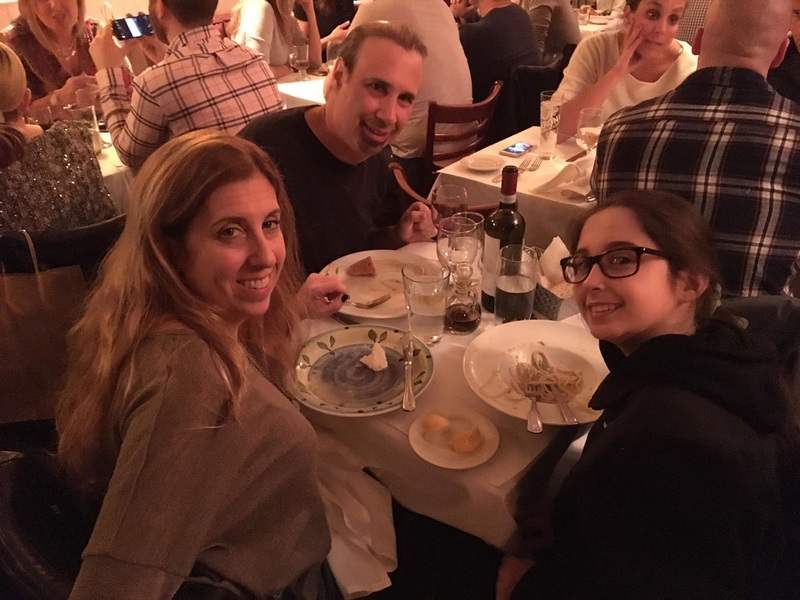 For people who have electronics during dinner, I suggest that you should socialize with your family first than just talking to other people"
"I went out to a restaurant last weekend and had very enjoyable device free dinner…. We had great conversation and enjoyed our food together… Thank you." 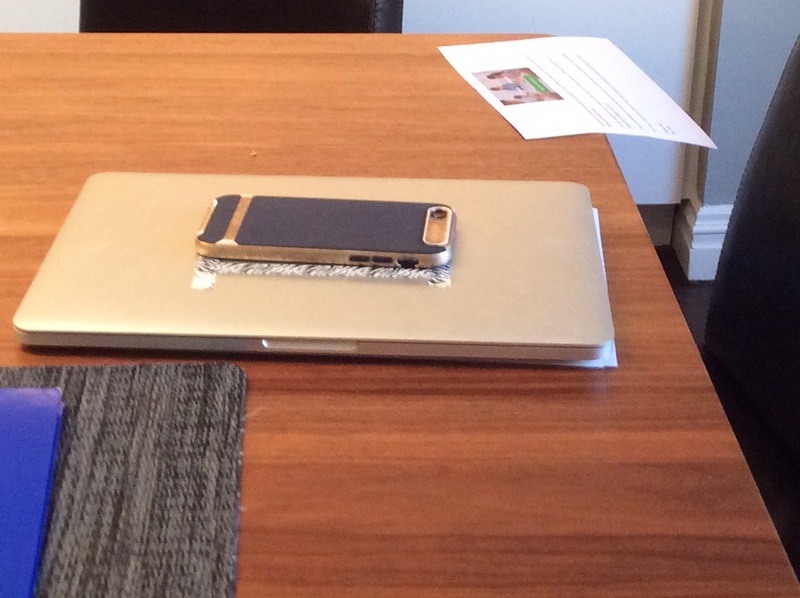 When me and my family's eat together we normally don't use devices. So Sunday night we had a regular dinner and called it DeviceFreeDinner for you. 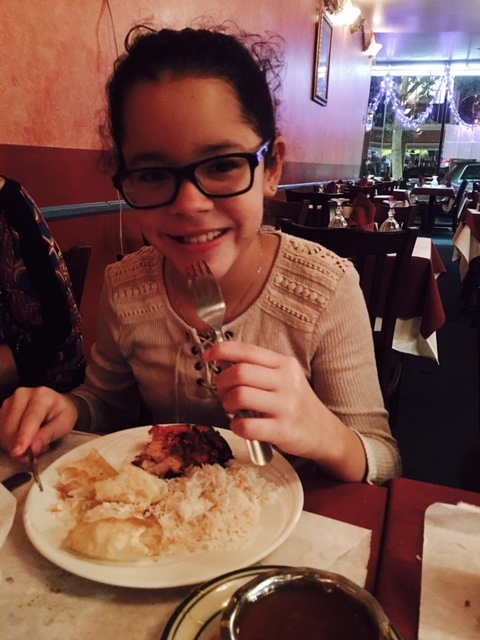 This is a photo of Elisa from class 634 eating dinner with my family device free. We ate at a Indian restaurant to celebrate my cousin's birthday. I had a great experience device free, even though I usually never use my phone during dinner. My parents don't let me do it. 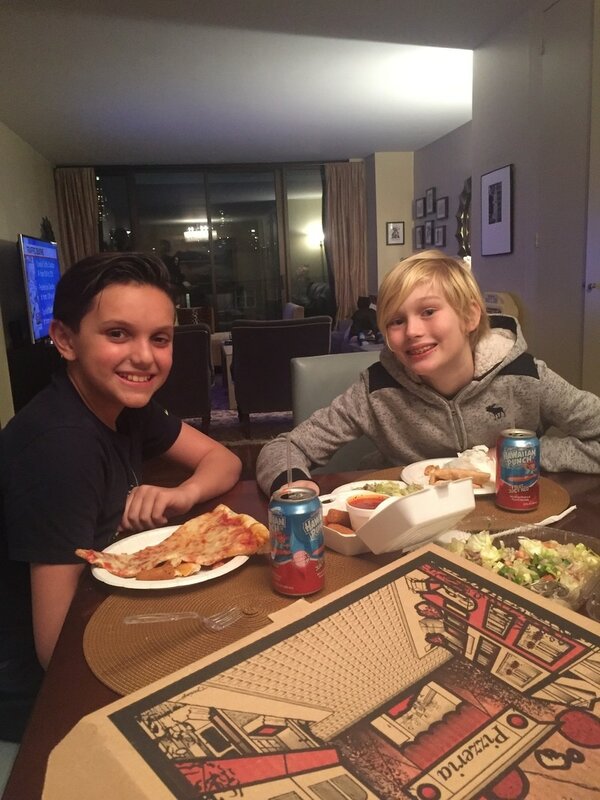 Reid from Class 622 and Arden from Class 613 both had a device free dinner with their family and enjoyed it a lot. We liked it because we had a lot of nice conversations during the meal. Thank you for giving us this challenge to try. Michael of Class 613 and Charlotte of Class 622 are both having a wireless dinner. 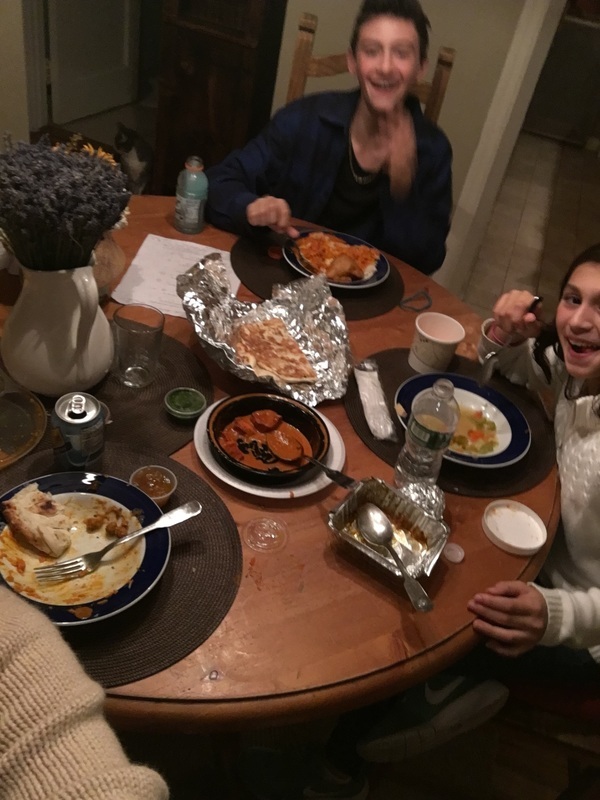 "We had a #DeviceFreeDinner tonight. We went out to pizza in Long Island City, to a place called Manetta's, and it was great. My mom and my grandmother were there and we ate a lot of pizza and pasta. My mom and my grandmother had salad too. There were a lot of people in the restaurant and everyone was talking. We even overheard some conversations. An older lady next to us was talking about Ohio. At our table we talked about my hockey coach, Mike, who is from Minnesota and works at UPS during the day. He is a really good coach but its kind of strange because his kids have gerbils and he doesn't even know the gerbils names! I have gerbils too so we were talking about that at my practice. After Manetta's we walked to an ice creak shop and we talked for A REALLY LONG TIME to Peter, the owner, who is also the only employee at the shop. He is also an architect and a teacher. Peter 3-D prints shapes and models and then turns them into molds that he uses to make chocolates that he sells in the shop.Peter is greek and his ice-cream is all homemade using Greek ingredients like olive oil and the pistachios sent from Greece from his father-in-law's farm. He told us the story of his family and his wife's family. Peter opened his store in March, and it is called Sugar Cube. He has already won a 5-star award!! He also hosts 2 jazz bands in his store every Sunday so my mom and I want to go back to listen. There was jazz playing on the speakers in the store and his menu is projected onto the wall in a power point presentation. He also uses an iPad as his cash register.In the store we had pistachio and chocolate ice-cream and we tried the mascarpone olive oil. We left with a pint of strawberry greek yogurt that Peter made while we waited. When we left, he asked us to visit again very soon. 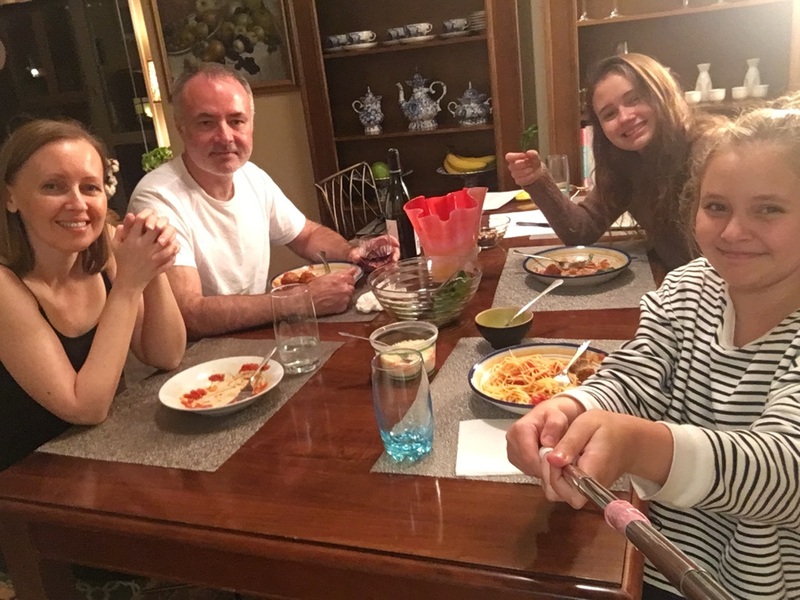 Thank you for the assignment, it was really fun to turn off our devices and also to write this email to you about my evening"
"Last night, our family had a device- free dinner. It was fun! We turned off the TV, and put away our phones and iPad's. We talked about school and what things we did that week, while we ate salad with grilled chicken. It was much more relaxing and we were able to talk to each other, and be able to hear what everyone was saying. It was easy not to have our devices with us, because we never have them with us while eating dinner, but we don’t always have the TV off. It wasn’t too hard to do that, and I found that I liked it better when the TV was off. I think I want to have device-free dinner every night!" "I had a good time doing the device free challenge. It was normal anyway because going on your device while eating it very rude. My parents never told me once about going on a device is very rude, but I think it is. I just never go on my device while i'm eating, well I feel like my dad is gonna be mad at me. So I never use a electronic while eating. I had a good time though"
"Because of my families busy schedules, we try to have a devise free dinner whenever possible. My favorite thing about that is it gives us a chance to talk about things going on each day like school, work, and things in the news such as the upcoming presidential election. It's important for me and my family to have this time without distractions." "It's going awesome everyone is having a blast we were really engaged into our conversation. With the device free dinner its better since before me and my two little sisters we would watch TV, my dad would read an article and my mom would be on the phone. So since we are doing this everyone is talking together. As a Family"
"In my house we have a device free dinner every night. It helps us socialize more with each other and talk about our day. 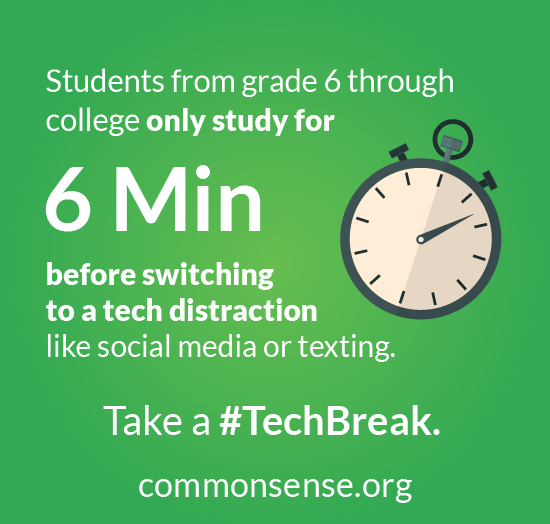 I know that in some families, people stare at their devices all day and a device free dinner could help them get to know each other better. Thanks!" My experience with device free dinner was nothing out of the ordinary. no matter what, I was never allowed to use electronic devices at dinner. it's a rule. every night we eat as a family and we talk about everything, we do not use our phones. 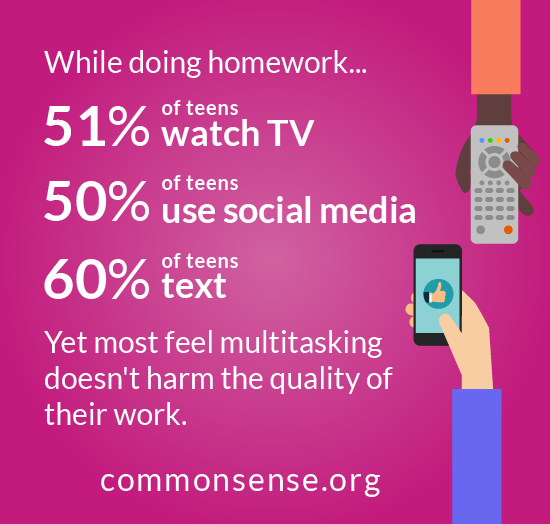 device free dinners help us be present as a family. Tonight my mom and I had dinner without devices.We talked about her work, and the butterflies we were raising. I talked about my new tutor I am meeting tomorrow. Ethan of Class 621 having dinner dinner without an iPhone. 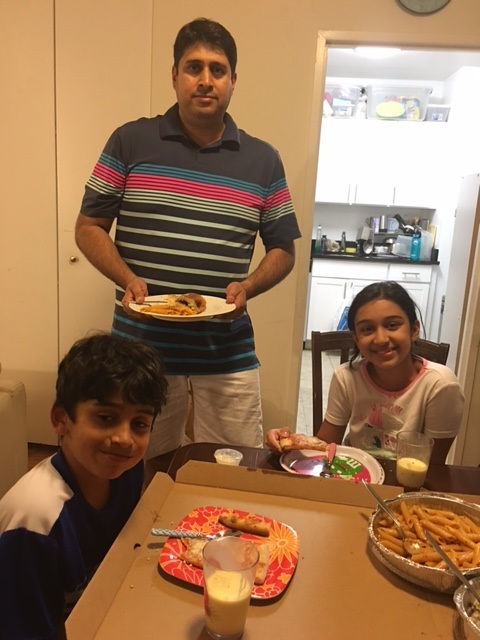 Jacob from class 635 and his family enjoying a device free dinner. Shirley from class 631 enjoying a successful device free dinner. 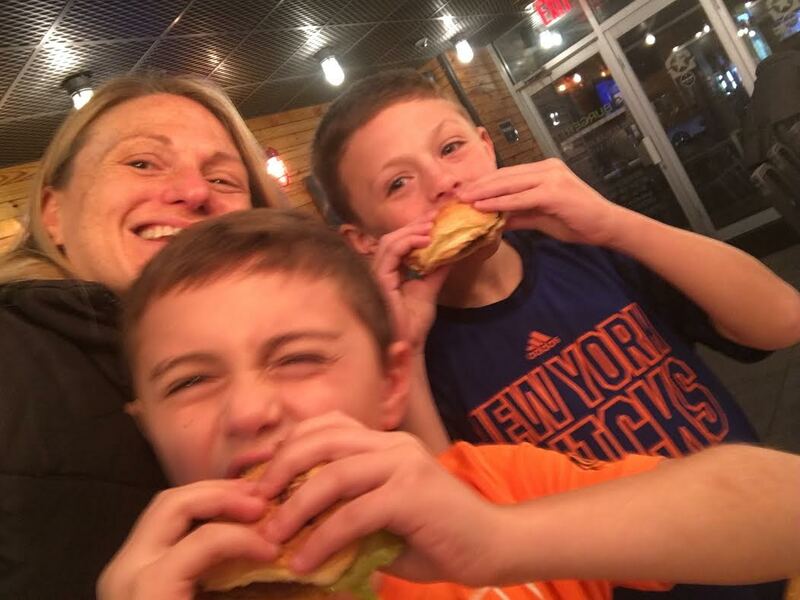 Veronika from Class 622 enjoyed a successful device free dinner with her family! 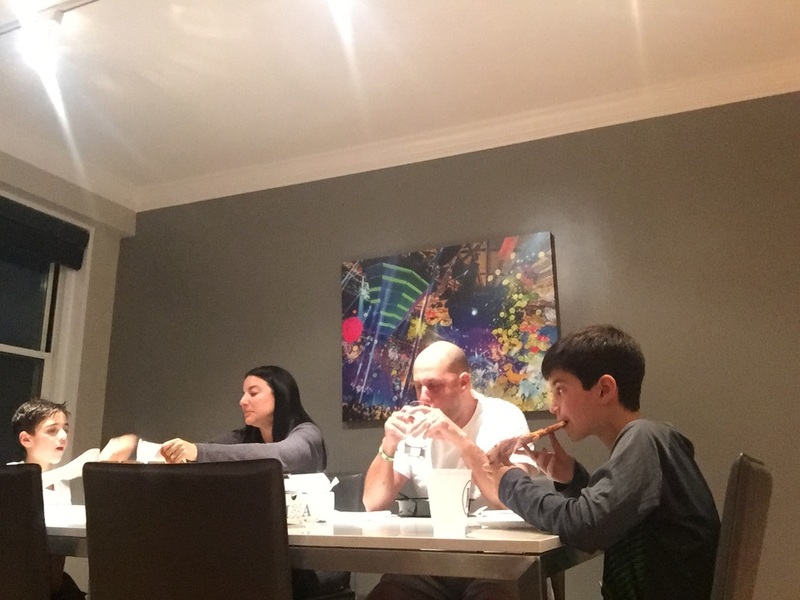 Theo from Class 621 and the family enjoying dinner without devices. 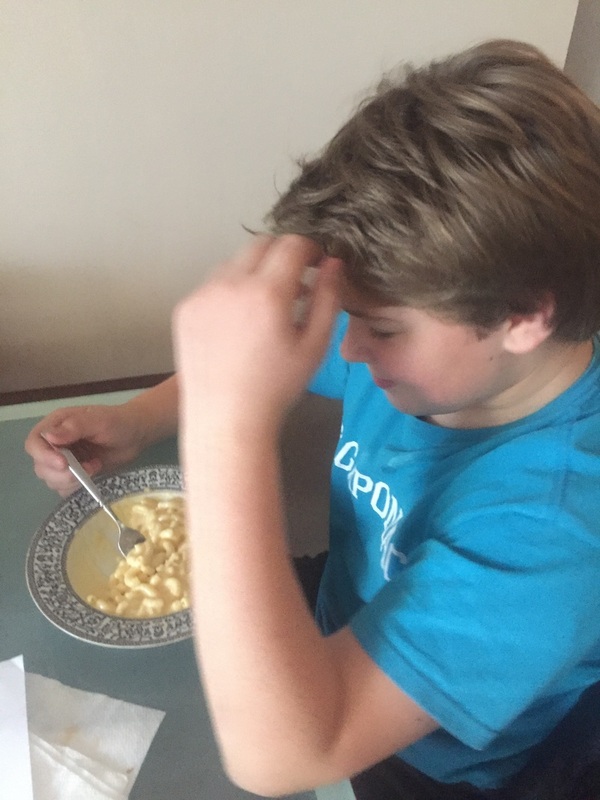 Cameryn from Class 611 enjoyed his device free dinners. It is a rule in our house that we do not have any devices at the dinner table and we do use that time to catch up on each other's days. 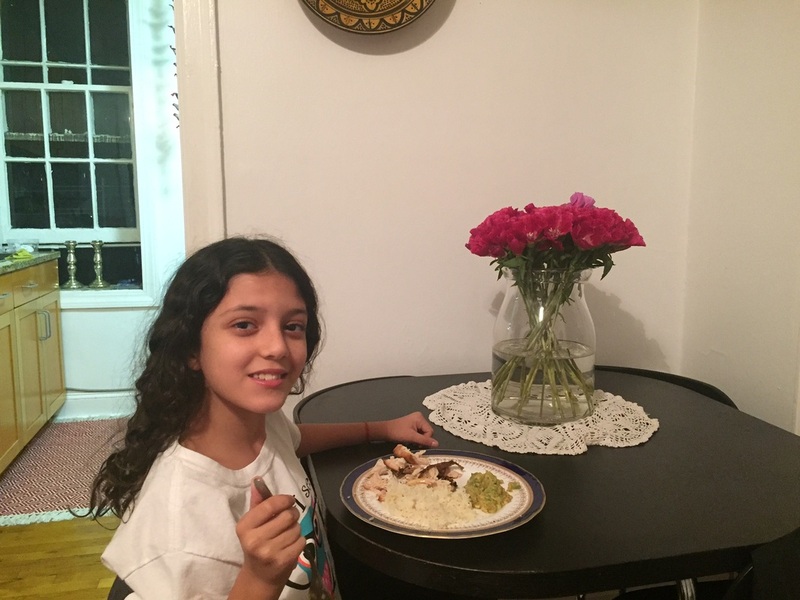 Greer from Class 633 enjoyed a device free dinner while eating ​corn with broccoli and cheese rice with a side of tomatoes! 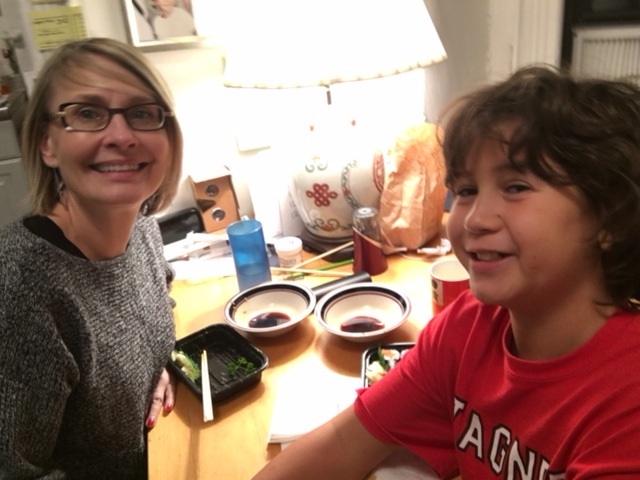 Lucas from class 624 had a device free dinner and he and his mom got to talk a lot about their weekend plans. 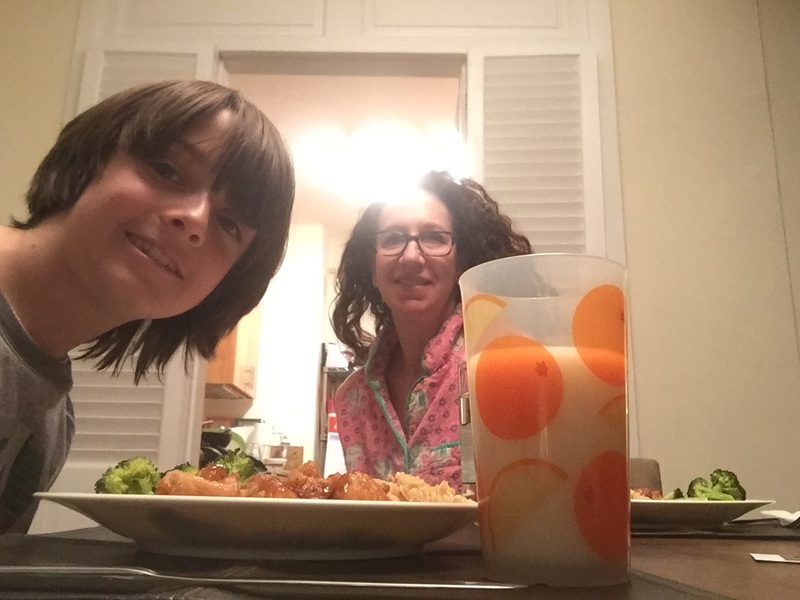 Jacob from Class 612 and his family enjoying a device free dinner. Jordyn from Class 622 enjoying a relaxing dinner sans technology devices with mom and dad. 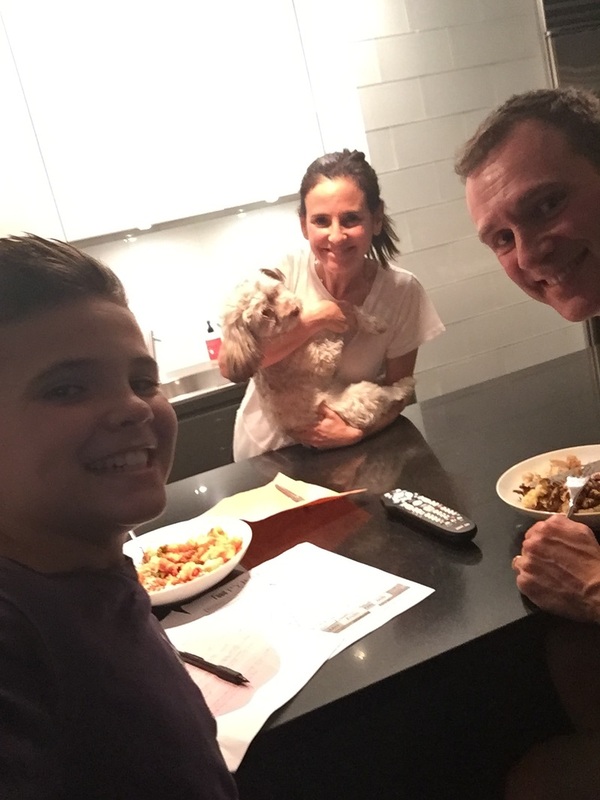 The #devicefreedinner challenge was very easy for me and my family, because we always eat dinner with each other. we always talk about funny and interesting things that go on in our lives. No one ever uses electronics at the table because we are so busy listening to one another. Every night when we do this, I feel very happy and relaxed because I am with my family having fun. This is my #devicefreedinner every day and I enjoy it! Me and my family really enjoyed this challenge. I always thought dinner was boring, but I realized spending time with your family is worth it. 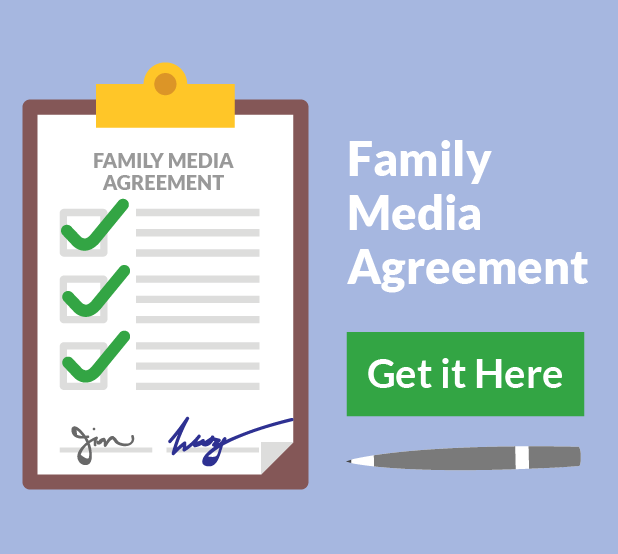 You can learn a lot about what your family did throughout the day. I also realized that now days, my family barely spend time together and have fun together except than weekends. Since we all have work to do, so dinner is a good time to be with your family. It wasn't new for me to eat my family dinner device free.I feel like this challenge is an opportunity to raise awareness about how family dinners are a good time to bond with your family.During the dinner I had today we talked about my Basketball tryout that I had yesterday, about Halloween and how my mom is going to Dallas next week for a research conference about Trauma. I'm going to miss her! I hope that my peers will learn from this experience and will continue to eat a device free dinner. 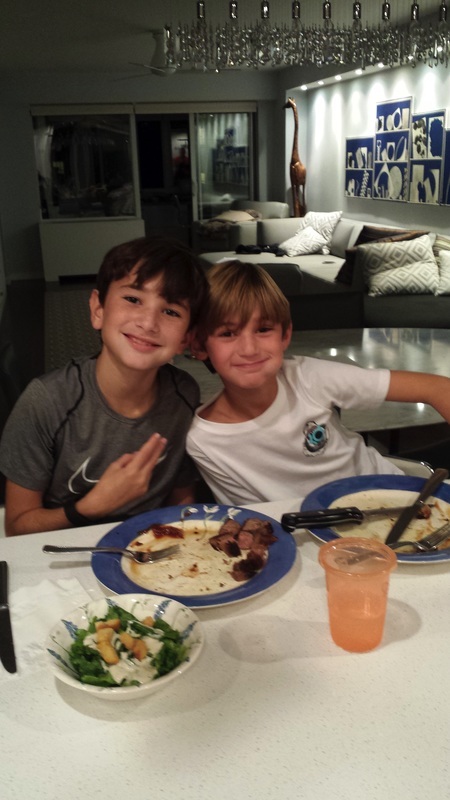 Logan from Class 622 having a device free dinner with his brother. 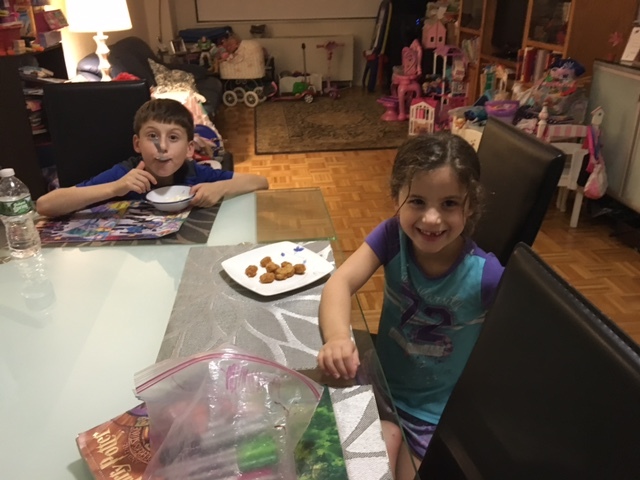 Bob from Class 625 having a fun filled #DeviceFreeDinner with his sister! 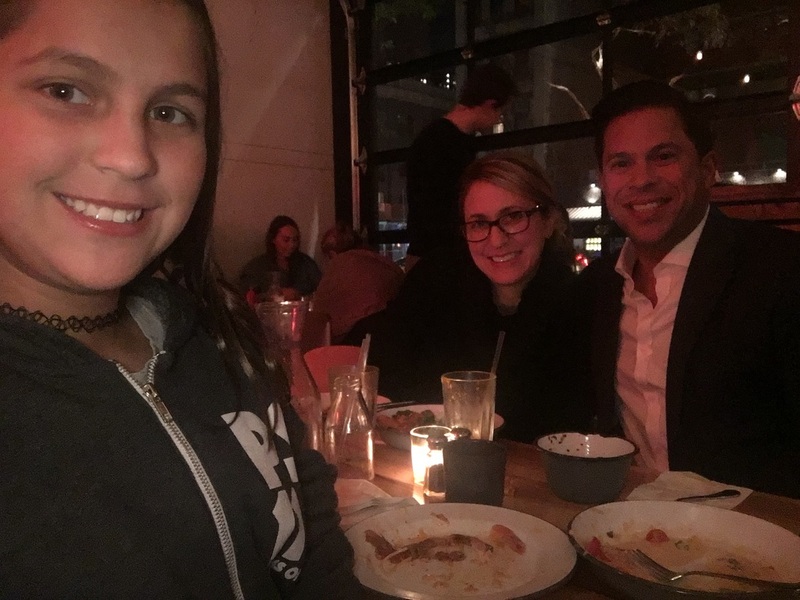 Paige from Class 615 and her family enjoying a device free dinner. We had such an amazing time and it really let us bond and talk about everything. Check out the "Device Free" bowl that Emmy made from class 621.